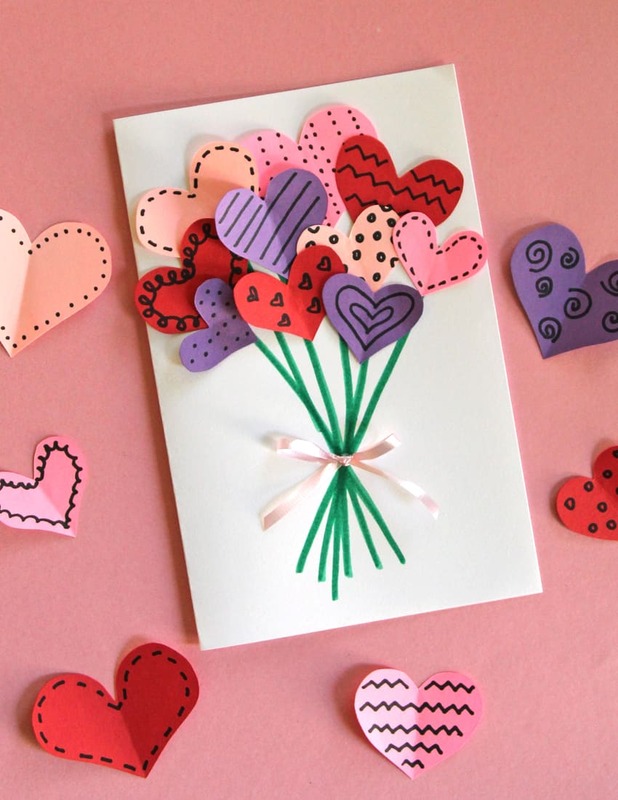 Valentine’s day is a great excuse to get kids busy crafting by making cards. 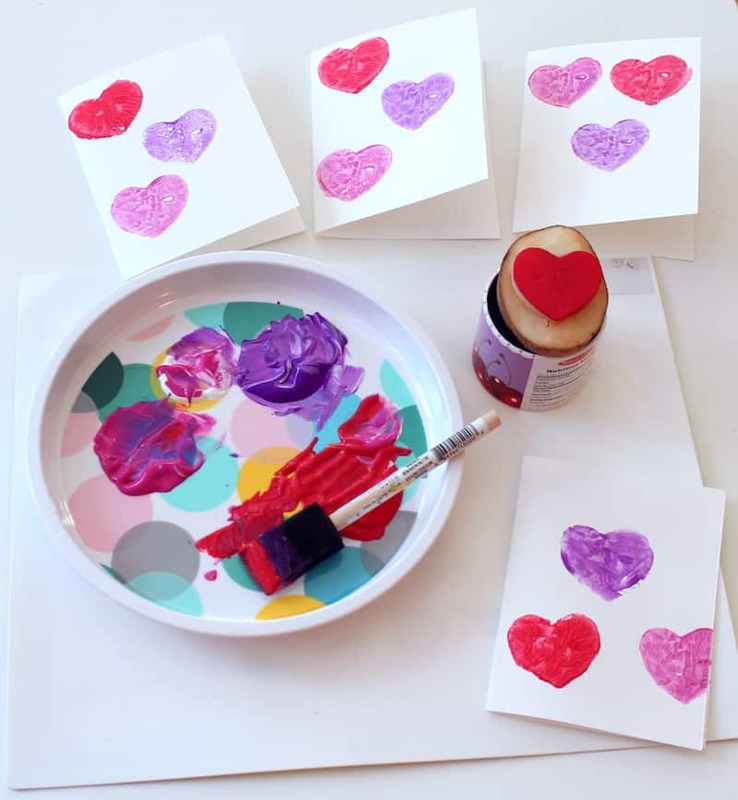 These 6 diy cute valentine’s kids cards are fun to make and are all totally adorable. 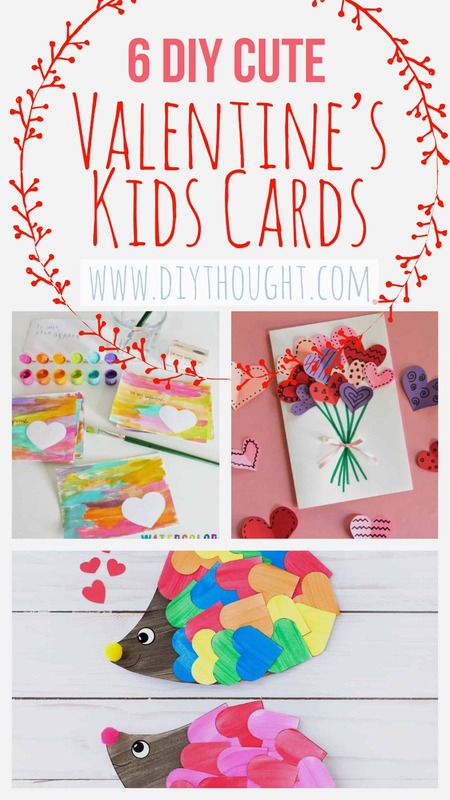 With a little help, preschoolers can make all of these cards but they are equally as great for older kids (and maybe adults) too. I’m hedge over heals for you and this adorable card. Cutting, painting, pom poms there is lots to keep the little ones busy here. Click here to get the full instructions. 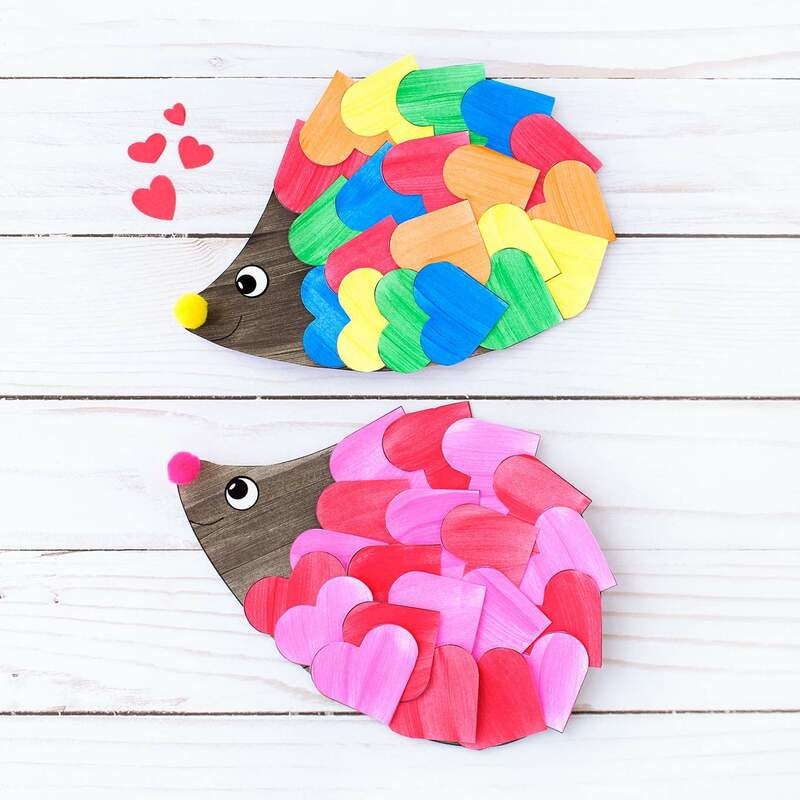 Have fun cutting and decorating hearts before creating a beautiful bouquet fit for any valentine. Click here to read the full tutorial. This is a great card for toddlers and preschoolers. 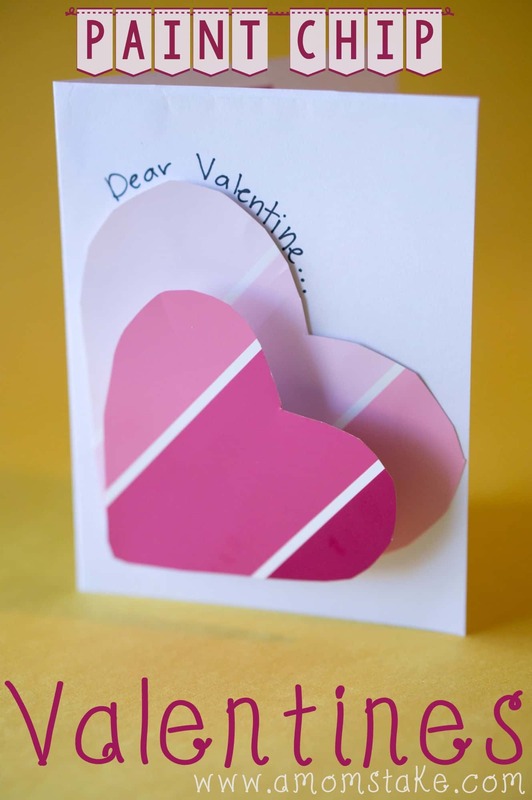 A heart shape is taped onto cardstock to ensure the perfect heart shape remains. Follow this link to find out more. 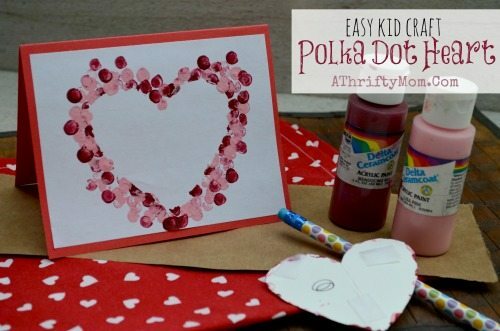 This is a simple yet lovely valentine’s card with a heart made from paint chip samples. Read more about this card here. 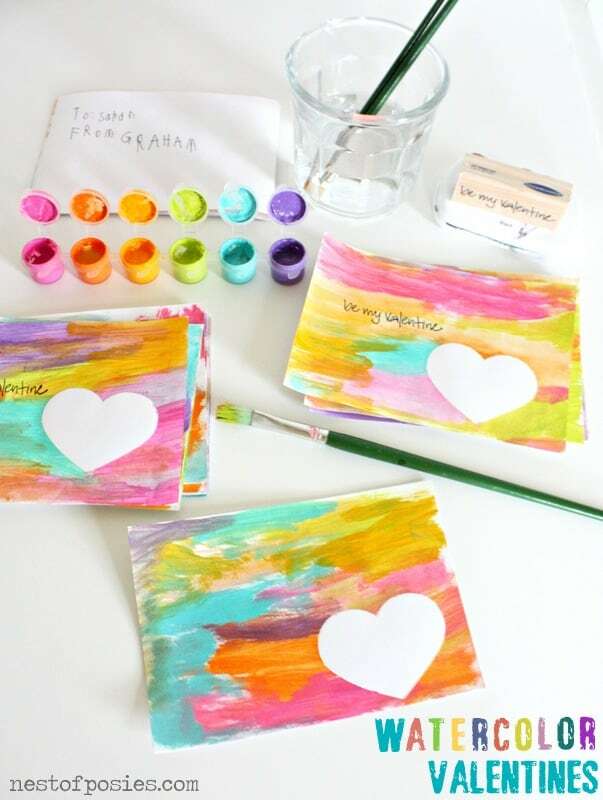 These cards are perfect for all paint happy kids and they are quick enough to make one for all of the class! Find out more by clicking here. Potato stamping is SO much fun! Using a cookie cutter makes it simple to get the perfect heart shape. Find out more here. Next Article 14 Diy Science Experiment Ideas For Kids!